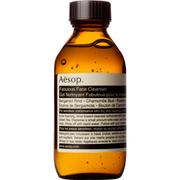 Rejuvenate your complexion with Aesop's Amazing Face Cleanser; a low-foaming formula that works to eliminate daily build-up of dirt and impurities, without over-drying or uncomfortable tightness. Catering specifically for combination or oily skin, the clear gel contains mandarin, ylang-ylang and lavender to thoroughly cleanse skin and absorb excess sebum, whilst delivering a refreshing citrus fragrance. 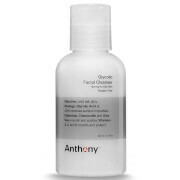 Ideal for those in humid or polluted environments, your complexion is left revitalised, rebalanced and super soft. Pour half a teaspoon into clean hands, and lather. Massage over the face and neck, then rinse thoroughly with warm water.